I really like this concept, especially since the days of link building seem numbered and the shift towards link attracting has already begun. Brands are how you sort out the cesspool. Brand affinity is clearly hard wired. It is so fundamental to human existence that it’s not going away. It must have a genetic component. Beyond being a brand, there are a lot of reasons why your content may not be attracting natural links. Back to Russ’s tweet, and why I think this is important. The idea behind this concept is that the game has changed for the better. It’s no longer about gaming the system, it’s about being worthy of the attention that top rankings in a competitive industry will bring you. Companies Websites ranking on page one who are not among the best in their niche are squandering an opportunity that would be better served by their competitors. 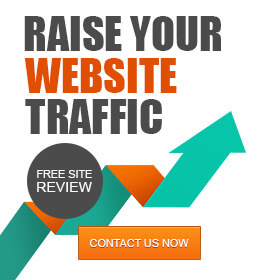 If you are getting the right traffic but can’t make the conversion, you don’t deserve that ranking. Furthermore, it is not good enough to think you are the best or say you will be. In order for this approach to take shape and drive results, this commitment must flow through your organization from the top down. It is a mindset that must be accepted by every person on your team and they need to believe in it. Part of this mentality is developing a culture of testing and constant improvement; where any day you are not getting better you are getting worse. You need to be better. Not to mention that you have to understand which is your potential for ranking in Google‘s page results. I wanted to go out and take a look at the first page of Google across a variety of vertical markets to see if after the Zoo Updates, only the best, most rank-worthy websites are holding the top spots. I picked a variety of large, very competitive markets, to see how the big brands stack up against other websites competing in their space. The verticals I’m looking at are women’s fashion, children’s products, technology hardware, software, and then some of the less savory verticals like credit cards, car insurance, and payday loans. As you can see this SERP is dominated by all big brand sites, not too surprising for a search term with 288 million competing results. 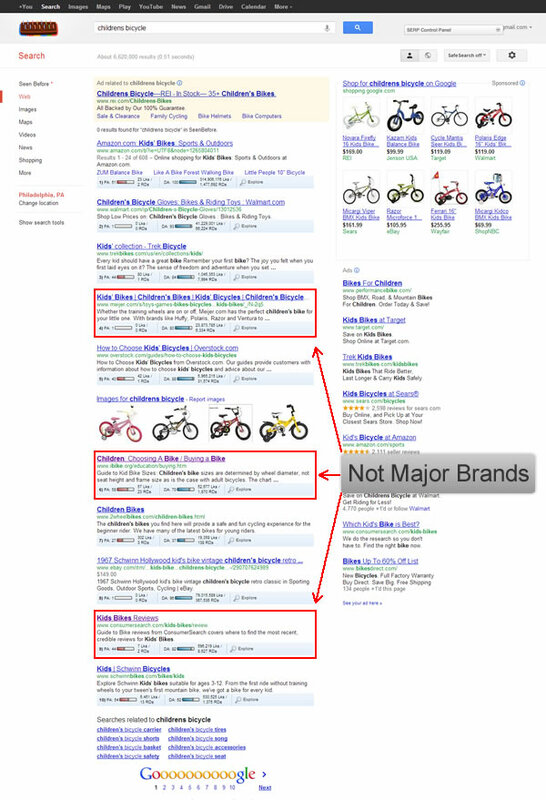 As you can see from my red highlighted boxes above, this SERP contains some instances where the sites ranking are not major brand e-retailers or big box stores. 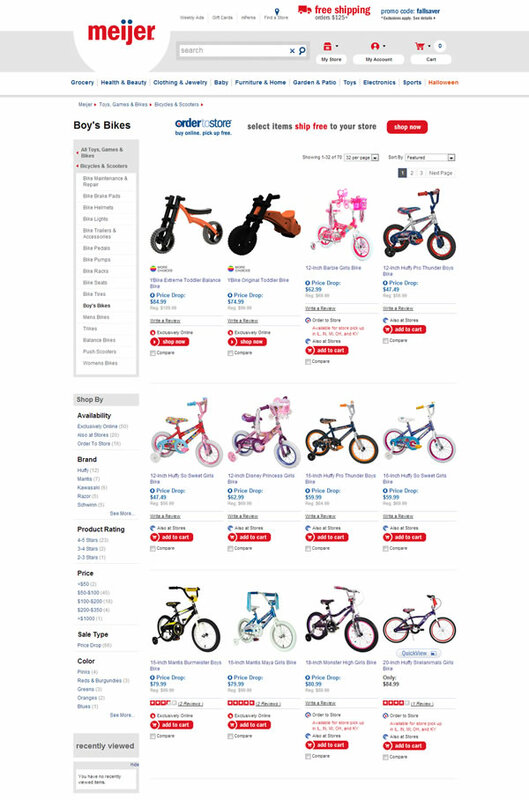 which as you can see, is fitting of it’s 3rd position ranking; it is a well designed, well built website offering a lot of options for searchers looking for children’s bike’s and is a relatively established internet retailer. 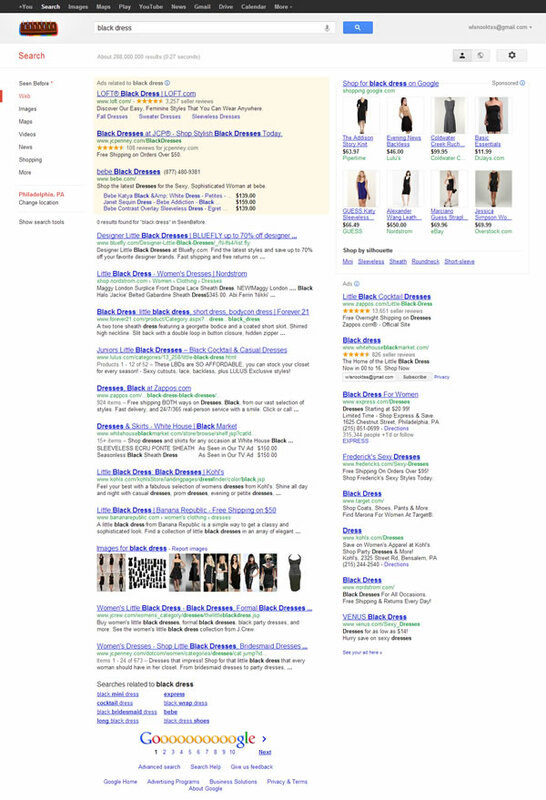 this page is quite the polar opposite of the retailer pages filling up most of this SERP, but due to it’s comprehensive evergreen content including a number of useful references and a very helpful age and size chart, it ranks appropriately. Again, this is an example of another great content page. 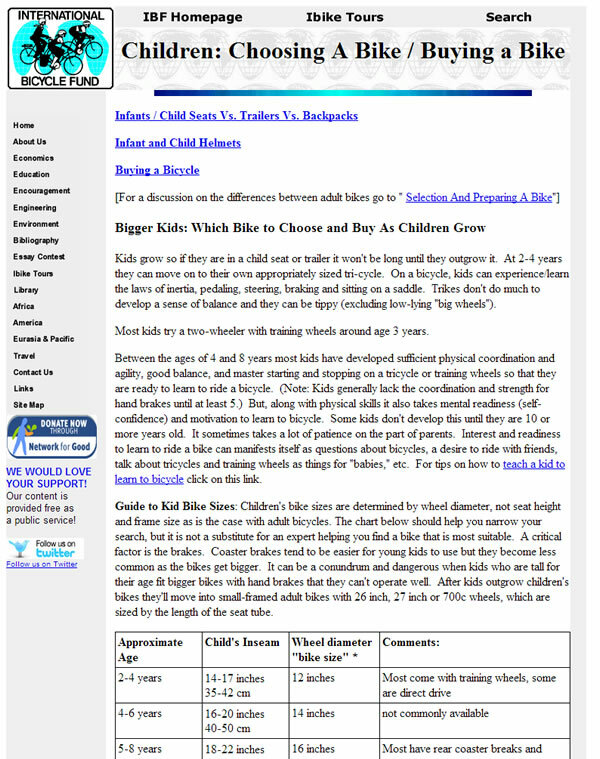 This particular page provides some really helpful advice for parents who are both shopping for a children’s bike and also some general information on sizing, quality, and what to look for. This one surprised me at first. With nearly 1 billion competing pages, I figured for sure the first page would only be name brand companies, and for the most part it is, except for one. 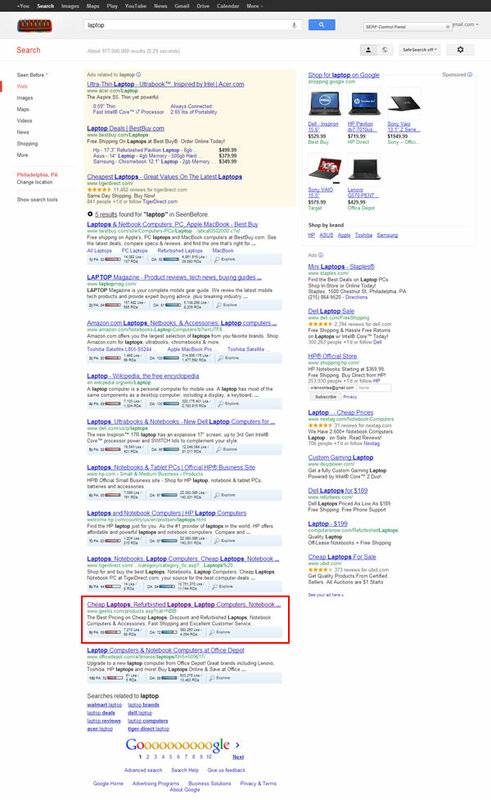 Geeks.com (pretty decent domain) is outranking officedepot.com. as you can see, upon a closer inspection, they are in fact in the Inc. 5000 list and on top of it their inventory is HUGE. 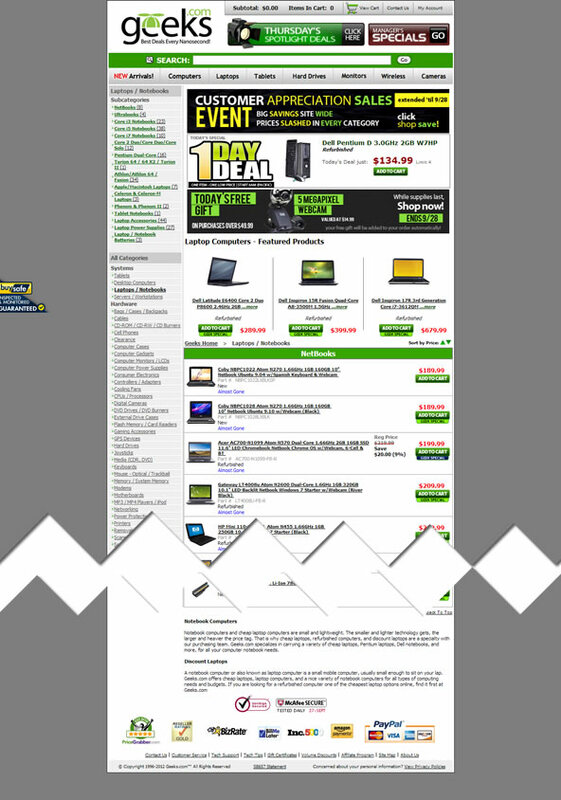 Seriously huge… I had to crop the page (horribly yes I know) because it was over 20,000 pixels long. 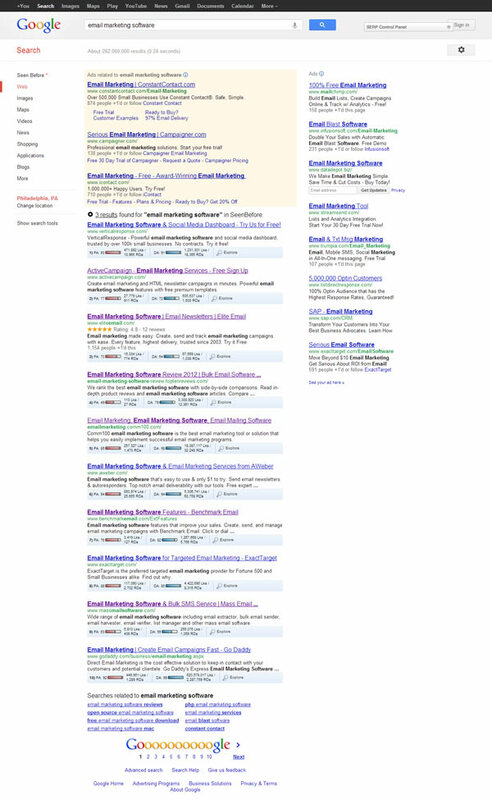 This SERP is a great example of what it takes to compete in a large software vertical filled with savvy technology companies. These are all major players in the email space, and while domains like email-marketing-software-review.toptenreviews.com and massmailsoftware.com look spammy, the are in fact, legitimate. 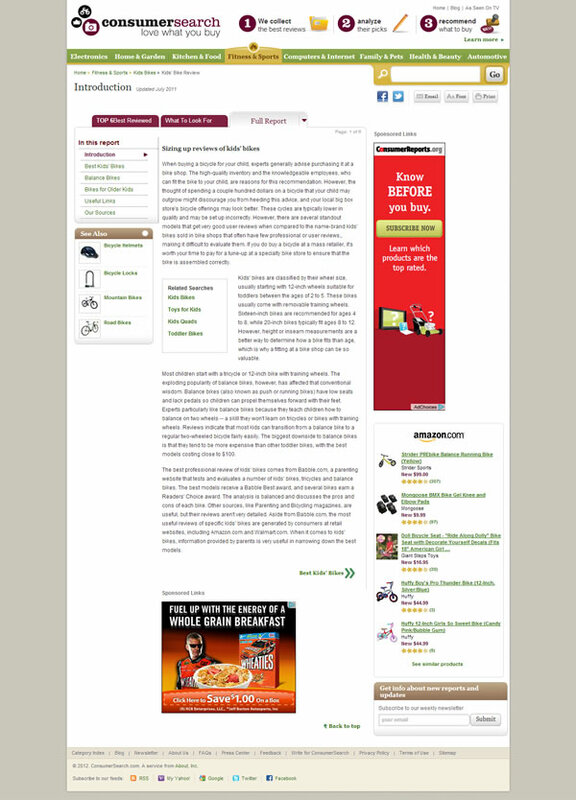 The previous you may have noticed is on one of the most trusted brand domains in the consumer review space; toptenreviews.com, and the other is the website for one of the oldest email software platforms, Atomic Mail Sender. Now I would like to look at SERP’s for some of the traditionally spam-riddled search verticals, and see if the ‘best of class’ brands still hold the top rankings. Not many surprises here, although there is one thing worth noting; the top ranked spot is not a brand at all… it’s an affiliate site. So what’s the deal? If you take a look at CreditCards.com you will quickly realize why this website is ranking among the major brands in this space; it deserves to be. This site is a well-built, well-maintained reference guide for any user looking to learn more about credit cards, offering detailed and accurate information on credit scoring, interest rates, types of credit accounts, and a slue of helpful tools to guide users toward making an informed decision. Just like the previous example, the SERP for “car insurance” is blanketed with brand names less one site, carinsurance.org. Not only is this website a fantastic resource for comparing car insurance information, it has a comprehensive information center stuffed full of well written unique content and a large catalog of up to date statistics and nuances by state. This website is better than some of the big brands and certainly deserves to be here. 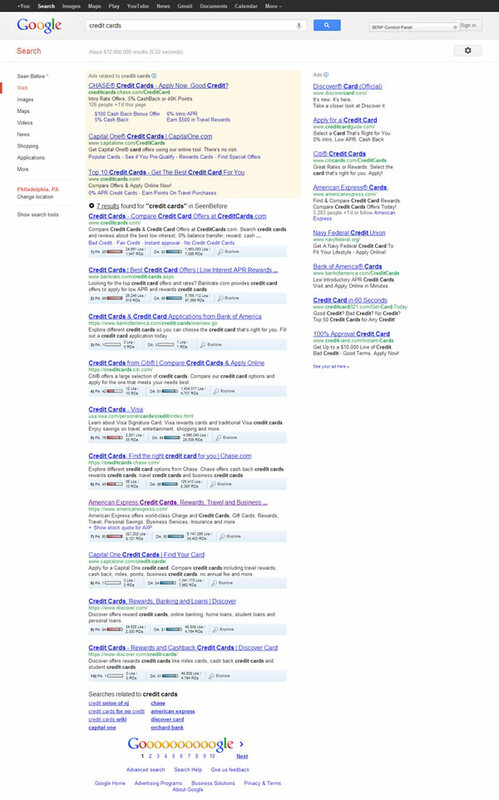 Yes, that is not a payday loans site ranking on page 1 in Google. 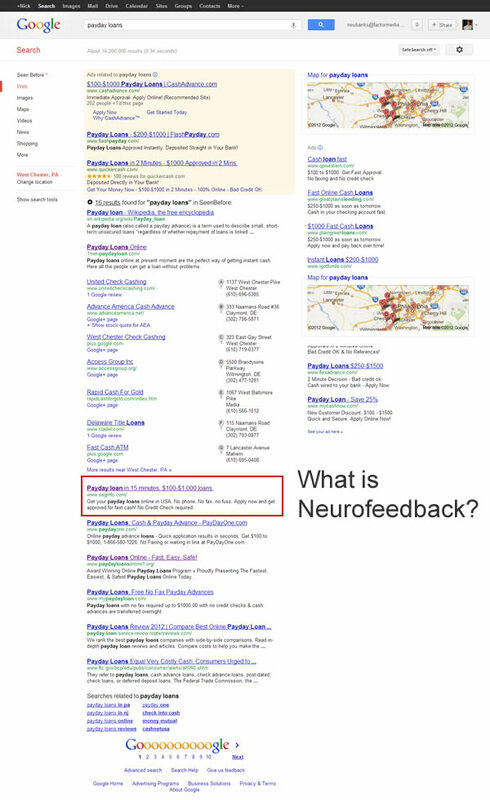 Not terribly surprising since payday loans are pretty much the bottom of the online lead generation barrel, but in the above SERP we see what appears to be a hack on a legitimate Neurofeedback firm. So what’s the deal? Why is this ranking? That’s a big jump in backlinks, I wonder what the anchor text looks like? Now this is starting to make a little more sense. What’s not clear is why this domain was chosen; possibly due to something as simple as it being on a shared hosting plan and it was an easy target? Maybe the hacker was looking for an older site, as eeginfo.com is 12 years old, we can’t be sure. What we do know is that this website has no place ranking in this SERP, and my guess is this will not last for very long. So you’re ready to make the commitment to creating one of the 10 best websites in your niche, where do you start? Well this is going to have a lot to do with your type of business and your content strategy. If you are a content resource it means you have thoroughly researched, up to date, and comprehensive information on your topic areas. If your content is driven by your users (think Yelp, Trip Advisor, Facebook, etc.) it means you need to have an interface that makes it enjoyable to submit content and easy to share. Search engines and their users are demanding the highest quality experiences from companies and their websites. If you are not ready or willing to make the commitment to be the best in your industry, you don’t deserve to be on the first page of Google’s search results. Commit to serving your audience and the links and rankings will come. This post is a bit more of a rant than I usually write, please share your thoughts in the comments.